It's the Perfect Way to Spend a Summer Day! Climb Aboard the Celebration Belle for Sticky Buns, Lunch, and Fun! 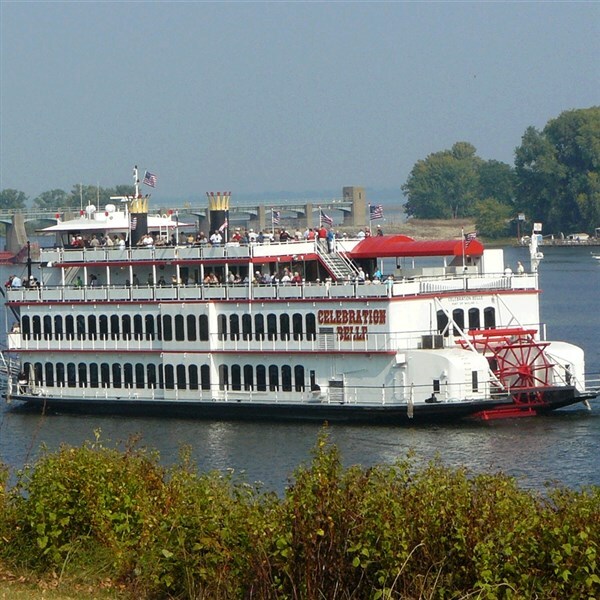 It's just not summer without a paddlewheel riverboat cruise along the Mississippi River. Join us aboard the popular Celebration Belle. Devour famous sticky buns in the morning and then a full lunch buffet and cash bar for cocktails. Entertainment will be announced at a later date. Call the office for details. TOUR INCLUSIONS: Professional tour director, transportation, lunch, cruise, and matinee show.